We will perform a complete oral examination of your teeth, gums and mouth. We document our findings into your computer charts. You can view the progress of your charting and any X-rays while you are in the chair on a monitor directly above your head. Your gums are carefully checked for any signs of disease. Your occlusion (bite) will be examined to detect jaw joint problems and excessive tooth wear. An Oral Cancer Screen. All examinations include a oral cancer screen. Oral Hygiene Instruction (OHI). All patients are routinely given OHI on how to best look after your teeth, gums and mouth. 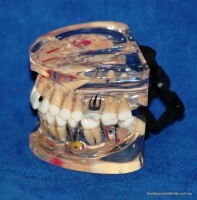 A preventive approach to dentistry is stressed. When required we may use some or all the following aids to explain findings, problems or treatment. Simple hand held mirror together with a detailed explanation. Intra-oral camera projects your photos from inside your mouth to help explain treatment and can be shown on a screen above your head while in the chair. Extra oral camera takes high quality photos both in and outside the mouth to show patients their problems or for treatment planning. Photos can be projected onto a screen above your head while in the chair. Impressions and bite records may be taken as treatment planning. Treatment explanations are easier to explain on your ownmodels of your mouth. Mock ups: Where appropriate, white filling material may be temporarily placed over teeth to give you an idea how the final restorations might look before committing to treatment. Mock ups allow a trial run without committing to treatment. Saliva and caries activity tests where appropriate. These tests can determine the quality of saliva and the likelihood of you getting decay. The tests allows us to carefully monitor saliva quality over time and to help formulate treatment options. 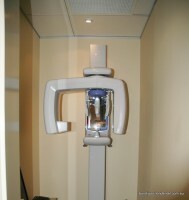 X-RAYS are an essential diagnostic tool in modern dentistry. Certain treatments such as nerve treatments and implants can not be commenced without suitable X-rays. 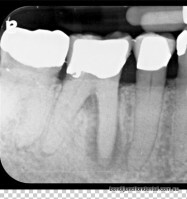 Our practice uses two types of dental X-rays. 2) An O.P.G X-Ray. 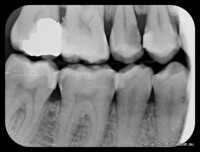 : A single large overview X-ray called an OPG can be taken at our practice. The X-ray is taken outside the mouth and shows all related structures such as wisdom teeth, roots of all teeth, infection in bone, sinuses and jaw joints. Patients do do have to be referred away for scans and do not have to come come back another day for follow up consultations. Photo Library of a range of dental work is available for patients to view. Real Examples of dental work such as crowns, implants and educational models are available. Patients are able to handle real dental restorative work similar to what they may need themselves. Patient Education Printed Material: Education material sourced from the Australian Dental Association and other dental societies is given to patients. Patient Education Models: Education models showing various dental problems are used to help explain dental conditions. Patients are able to handle real dental restorative work similar to what they may needthemselves.